NEW: Category Page Product filter checkbox added. NEW: Grid / List setting option added in theme settings. FIX: Admin menu issue solved. 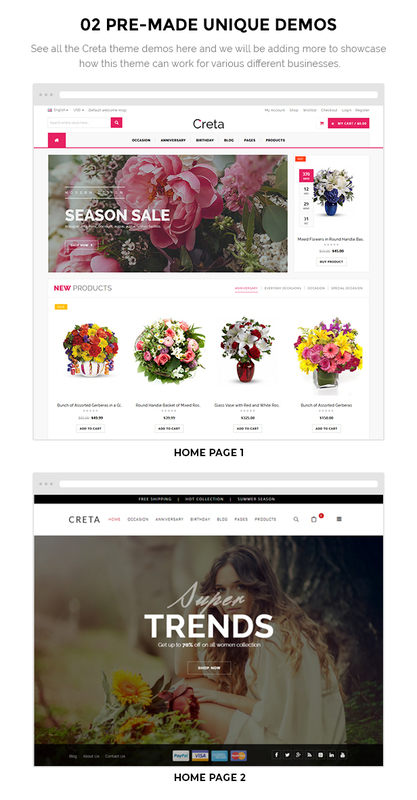 NEW: 3 Shop Page layout [Left ,Right, Full] added. NEW: Pricing Table Page added. NEW: About us page with new design added. NEW: Contact us page with new design added. 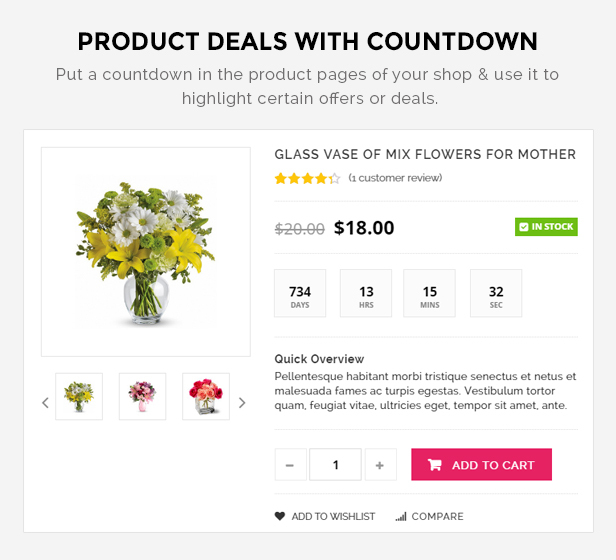 NEW: Product Category page added. NEW: Special Product page added. NEW: Hot Deal Timer on product detail page added. FIX: 3 Blog layout [ Left ,Right, Full] updated. 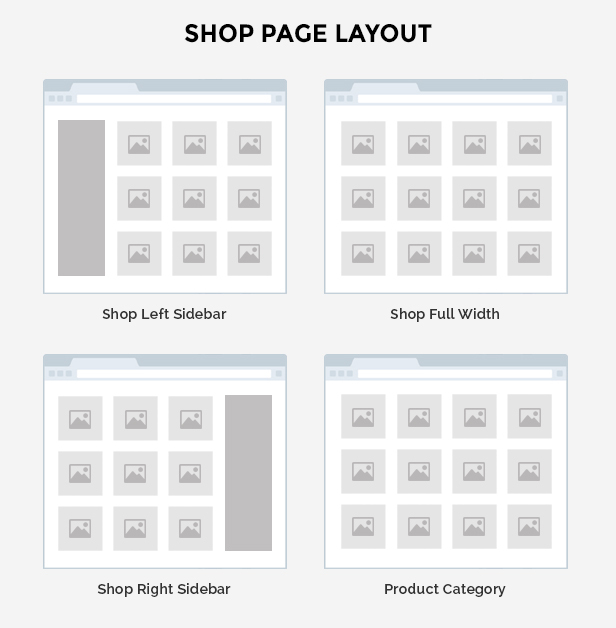 FIX: Product detail page scrolling issue solved for mobile layout.